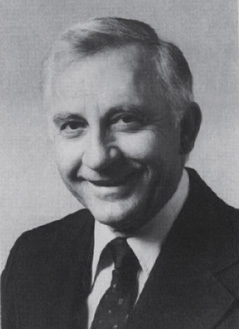 Dr. A. G. Lurus, President of the AFTCA in 1986 during the 20th Century Fund’s inception. The 20th Century Fund is the financial engine designed to power and sustain the AFTCA in accomplishing its designated objectives. Prior to the fund’s inception, the AFTCA and its member clubs had relied on the generosity of field trial patrons for contributions of time, money and other critical resources. By 1986, the organization had long and successfully endeavored to promote and preserve the field trial sport while operating on limited working capital and with only a modest investment fund, accumulated over some fifty years, as backup. By careful and thrifty management, the AFTCA had endured a changing economy over the course of its lifetime, running in the black but depending heavily on outside support going forward. This was a matter of serious concern for the Board of Trustees, who understood that putting the organization on firm financial footing was key to preserving its legacy and achieving its goals for the future. These goals included expanding and modernizing administrative functions, working with member clubs to lessen their individual burdens of expense, promoting the sport by educating the public, and securing grounds and developing quality habitat on which to run AFTCA-sanctioned trials on 7 different game birds. This conservation aspect, brought into focus in 1948 under a revised corporate charter, tied in with the organization’s earliest stated mission: elevating the standard and quality of the amateur pointing dog. Recognizing that wild birds in well managed native habitats are vital to the continued improvement of pointing dog breeds, the AFTCA specifically undertook, with the new charter, the responsibility for promoting and protecting good wildlife habitat and field trial grounds. But the newly broadened scope of its mission posed a financial challenge, and the organization’s leadership looked for a long term solution. The concept of the 20th Century Fund was introduced at the 1986 annual meeting as a means to help the AFTCA strengthen itself financially through an ongoing fundraising campaign and a sound investment program. The organization filed for and obtained tax exemption status for the program under Section 501(c)(3) of the Internal Revenue Code. Individual trustees pledged seed money to establish the fund and set a long term goal for growing the principal through tax deductible donations by supporters. The board voted to spend or distribute only monies generated by interest earned on the principal. A detailed business plan mandated procedures for managing and accounting for the fund, and field trial patrons were invited to invest in the future of the field trial sport with their tax deductible donations. Various incentives have been implemented over the years to help strengthen the fund and perpetuate the AFTCA’s objective to assist in providing education, grounds, facilities and habitat for the field trial sport. A limited edition collector’s knife was offered to commemorate the organization’s 75th anniversary, with special enhancements attached to each level of contribution. Other giving options include endowments, memorials, per-dog fees added to field trial entries, and individual donations of any amount. Patrons are encouraged to include the organization in their charitable giving plans, and to consider the 20th Century Fund and the AFTCA in their estate planning structures. The 20th Century Fund Print Project has been an important fundraising vehicle since it was established in 1994. A coterie of original benefactors underwrote the commissioning of a series of paintings by renowned Texas wildlife artist, Herb Booth, along with the production of limited edition prints from each piece. The series comprises five paintings by the late Booth, and print editions of 1,000 each, depicting prominent individuals and dogs in historic field trial settings. Prints are affordably priced at $200, and are tax deductible to the extent allowed by law. All proceeds from sales directly benefit the 20th Century Fund and serve to help enrich the field trial sport and ensure its legacy for coming generations. To date, the 20th Century Fund has disbursed more than $200,000 to AFTCA member clubs for the improvement of upland game bird habitat and field trial grounds, and for educational endeavors to promote participation and benefit amateur trials. From that earliest kernel of an idea by AFTCA founders, to improve pointing bird dogs through competition, the organization has broadened its mission over a hundred years to take responsibility for all aspects of the field trial sport. Contributors to the 20th Century Fund help guarantee the perpetuation of that valuable sporting heritage. Visit 20th Century Fund Donation for more information on the Print Program and other options available for “The Betterment of Field Trials” today!